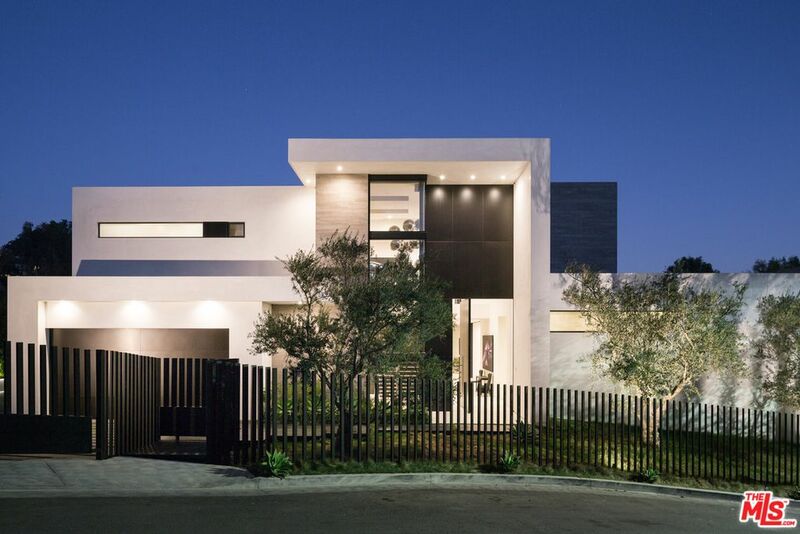 Located just a short spin to Rodeo Drive and perched on a hill behind the Hotel Beverly Hills, this stunning contemporary mansion in Beverly Hills, CA was built in 2015 and situated on 0.73 acres of land with priceless city and ocean views. It features approximately 10,485 square feet of living space and a combined 15,500 square feet of indoor/outdoor living space. 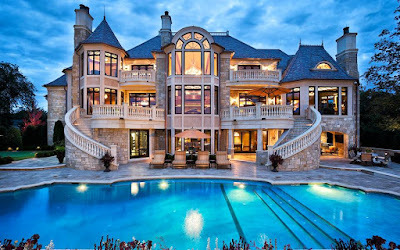 There are six bedrooms, seven full and three half bathrooms, grand foyer with floating vertebrae staircase, formal living room with fireplace and wet bar, formal dining room, European kitchen with double islands, breakfast area, family room, lower level lounge with wet bar, glass-enclosed wine cellar, billiards room, home theater, home gym, and a two-car garage. 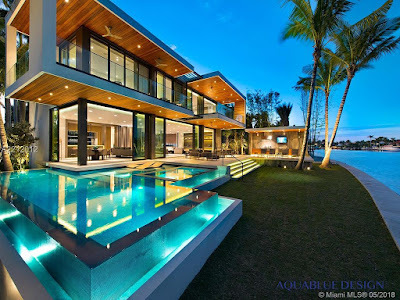 Outdoor features include a gated entrance, balcony, terrace, patio, sunken sitting area with fire pit, pavilion with kitchen and bar, and an infinity-edge swimming pool with spa and tanning platform. 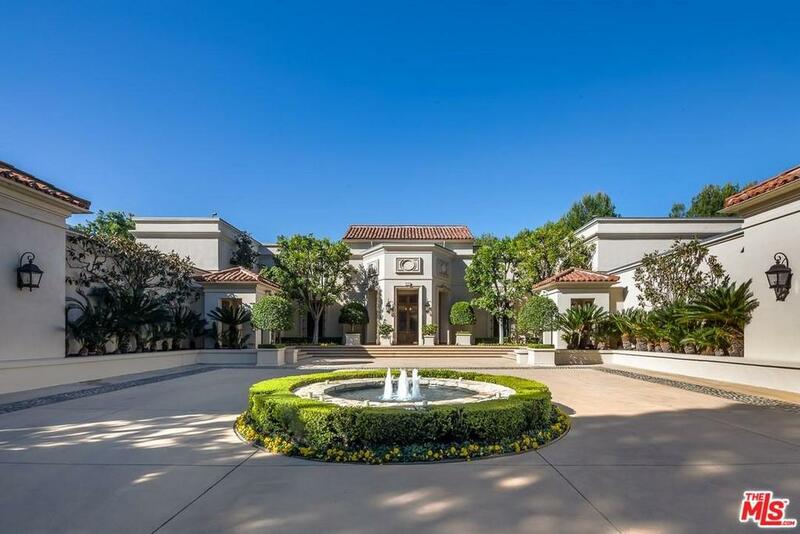 This mountaintop compound in Beverly Hills, CA is situated on 13.25 acres of land. A long private drive winds to the top of this 38,000 square foot mega mansion that includes additional guest facilities on the property that offers views of the city and the ocean. 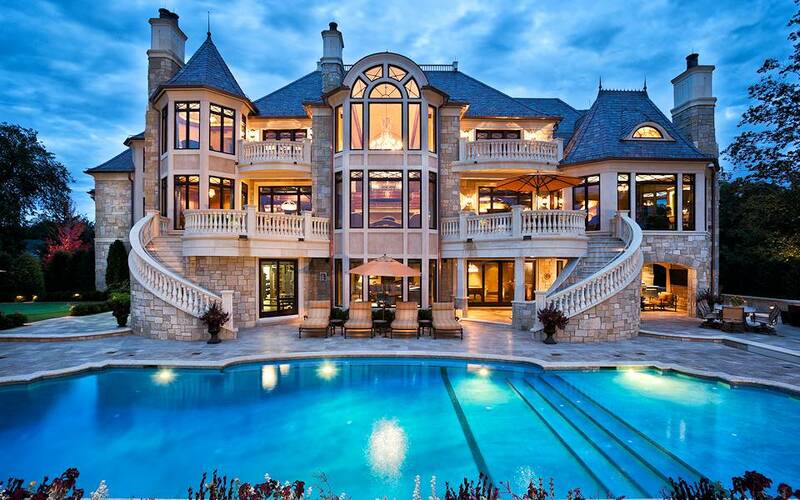 It features 10 bedrooms, 12 bathrooms and an array of dramatic living areas. Outdoor features include a gated entrance, motor court, fountains, swimming pool, pool house and a tennis court. 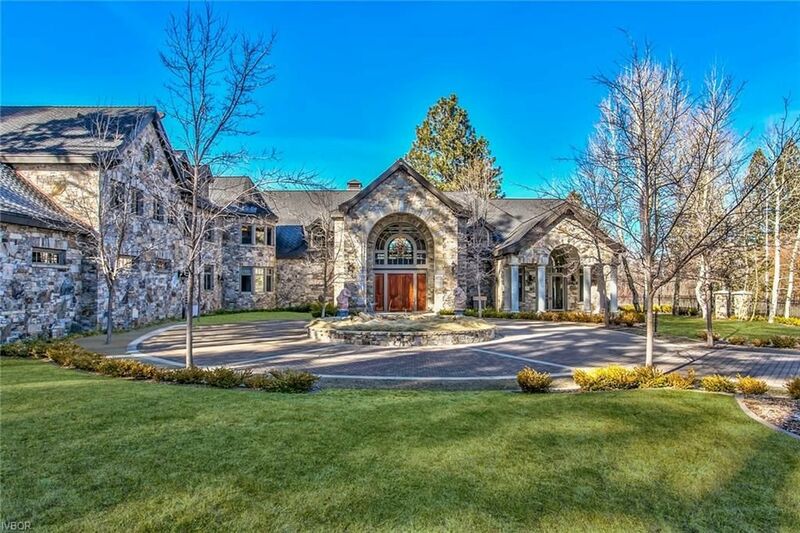 Located in Zephyr Cove, NV, this beautiful stone mansion was built in 2004 and situated on 24 acres of land with access to 378' of Lake Tahoe's sandy beaches and pristine mountain views. 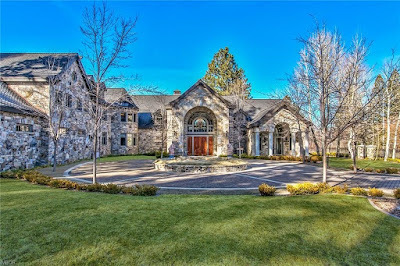 The sizable lakefront home features approximately 18,151 square feet of living space with 10 bedrooms, 12 full and one half bathrooms, two-story foyer with staircase, two-story great room with fireplace, formal dining room, butler's pantry, gourmet kitchen with double islands, family room with vaulted ceiling, wine cellar/tasting room, two home offices, an expansive game room with fireplace and wet bar, 20-seat home theater, exercise room, garage parking for eight cars, and so much more. 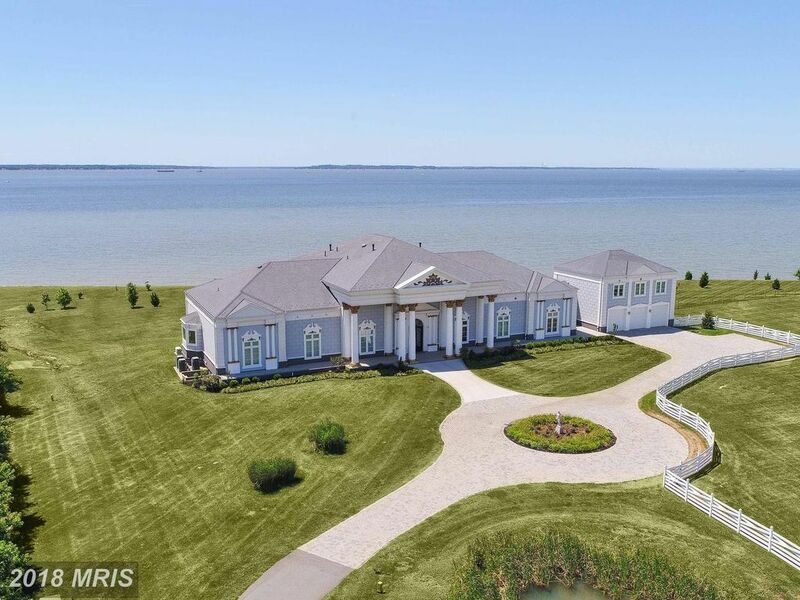 Outdoor features include a gated entrance, motor court, covered front porch, terrace, patios, pier, and a dock. This stately brick mansion in Franklin, TN was built in 2006 and is situated on just under 17 acres of land. It features approximately 11,894 square feet of living space with six bedrooms and six full and three half bathrooms, two-story foyer with staircase, elevator, two-story great room with fireplace, formal dining room, butler's pantry, open concept gourmet kitchen/breakfast room/family room, sun room, paneled home office, an expansive lower level with recreation room, wet bar, billiards room, wine room, home theater, exercise room, and spa with steam shower and Jacuzzi. There is also a four-car garage. Outdoor features include motor court, covered terraces, patios, free form swimming pool with spa and water slide, and a putting green. 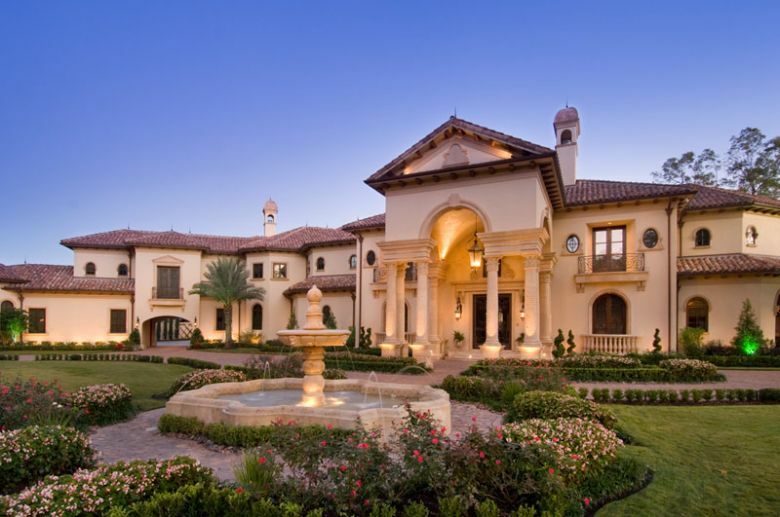 Built in 2015 and situated on 1.2 acres of land, "Bella Paradiso" is a Mediterranean-inspired mega mansion in Paradise Valley, AZ that is located high on the southern side of Mummy Mountain. Designed and built with elegant entertainment in mind, the home features approximately 20,000 square feet of living space with five bedrooms and 10 bathrooms, foyer, staircase to lower level, great room with fireplace, formal dining room, rear staircase, gourmet kitchen with double islands, full catering kitchen, breakfast room, family room with fireplace, paneled home office/library, billiards room with wet bar, and much more. The expansive lower level has a glass-enclosed wine closet, wet bar, and a 200-guest ballroom that also doubles as a showroom-style 20-car garage. Outdoor features include a gated entrance, motor court, balcony, open terrace with fireplace, covered terrace, patios, swimming pool with deck jets and separate spa with deck jets. 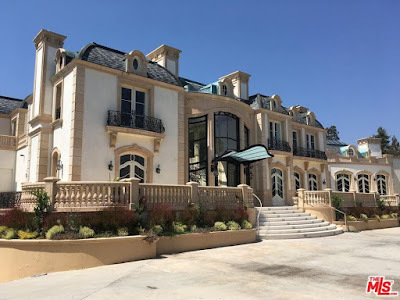 Even though it was built in 2005, you can take a look at this beautiful stone and stucco mansion in Tulsa, OK and tell that no expense was spared in its recent modernization. Situated on just under an acre of land, the home features approximately 16,899 square feet of living space with six bedroom, seven full and two half bathrooms, two-story foyer with staircase, elevator, two-story great room with fireplace, formal dining room, butler's pantry, gourmet kitchen with stainless steel appliances and breakfast bar, family room with vaulted ceiling and fireplace, home office, lower level recreation room with second kitchen/wet bar, a home theater, poker room, exercise room, sauna, indoor batting cage, indoor sport court, and garage parking for five cars. Outdoor features include a front covered porch, porte-cochere, motor court, balcony, rear loggia, terrace, patio, cabana with swim-up bar, and a free form swimming pool with waterfall, grotto, and water slide. 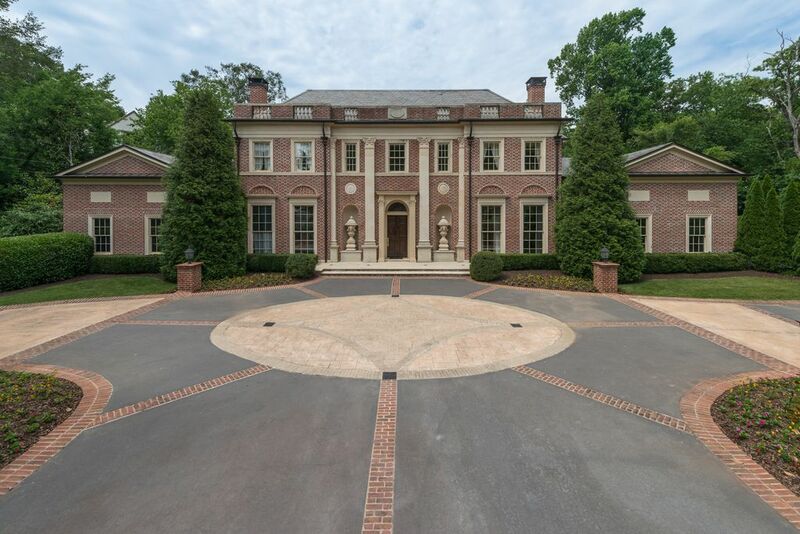 This stately stone mansion in McLean, VA was built in 2016 and is situated on just over an acre of land. It features approximately 15,344 square feet of living space with five bedrooms, five full and three half bathrooms, two-story foyer with U-shaped floating staircase, elevator, two-story great room with fireplace and media center, formal dining room, butler's pantry, gourmet kitchen with double islands, breakfast room with fireplace, home office, expansive lower level recreation room with fireplace and wet bar, a two-tiered 10-seat home theater, four season porch, garage parking for four cars, and much more. Outdoor features include a motor court, covered front porch, balcony, rear covered patio with fireplace, an open patio, and a fountain with waterfall. 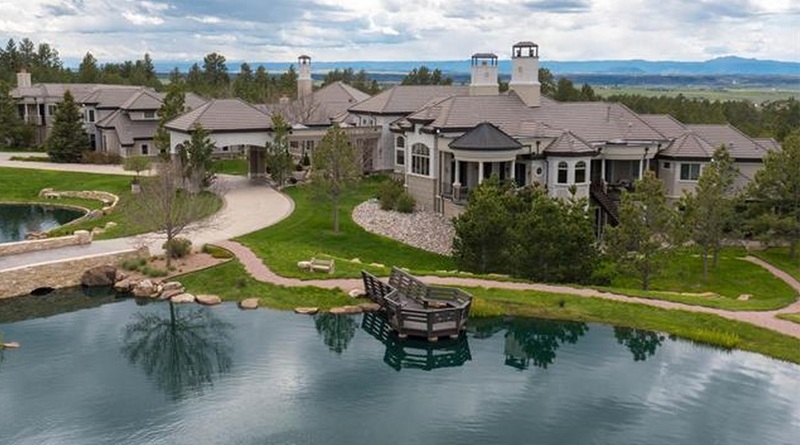 Resting proudly on just over five acres of land with peerless mountain views, this Transitional French-inspired mega mansion in Englewood, CO is simply breathtaking and was crafted using the finest luxury contemporary finishes. Clad in stone, the stately home features approximately 20,060 square feet of living space with four bedrooms, seven full and five half bathrooms, two-story foyer with floating winding staircase, formal dining room with fireplace, butler's pantry, gourmet kitchen with bar, breakfast room, family room and library divided by a two-way stone fireplace, executive-style study/home office, an indoor swimming pool with spa, wet bar, home theater with concession station, indoor basketball court, and garage parking for nine cars. Outdoor features include a motor court, porte-cochere, covered front porch, BBQ kitchen, fireplace, and multiple terraces and patios. 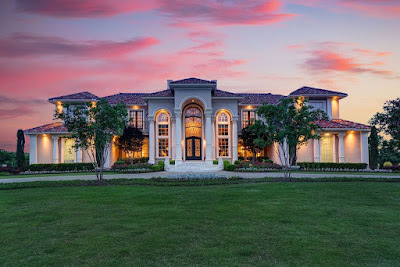 Founded in 1988 and based in Sugar Land, TX, Sims Luxury Builders (formerly Christopher Sims Custom Homes is a full-service luxury homebuilding firm. 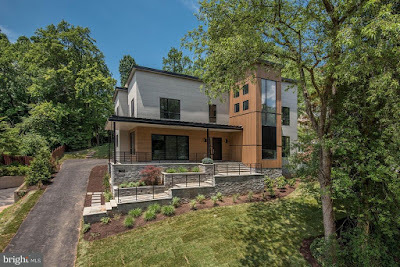 For over 25 years, the firm has worked with the area's brightest architectural design professionals to bring to past a variety of homes styles that range from 3,500 square feet to well over 20,000 square feet. Founder and President, Christopher Sims, is a graduate of The University of Texas and is a founding member and past president of the National Custom Builders Council. 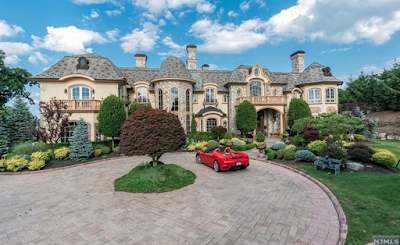 This French-inspired mega mansion was originally listed for $29.9 million in 2012, re-listed in 2014 for $69.75 million, and re-listed again for $72 million in 2015. Today, it is an astounding $80 million! Located in Beverly Hills, CA, the supersized home was built in 2012 and is situated on 1.54 acres of land. It features approximately 28,000 square feet of living space with 11 bedrooms, 11 full and five half bathrooms, two-story foyer with skylight and floating double staircase, elevator, expansive formal living room with fireplace, formal dining room, gourmet kitchen with double islands and stainless steel appliances, breakfast room, family room with fireplace, paneled home office with fireplace, ballroom with fireplace, two wet bars, and a skylight, home theater, home gym, indoor swimming pool with spa, sauna and steam rooms, and a 12-car subterranean garage. Outdoor features include a gated entrance, motor court, fountain, multiple balconies, covered patios, multiple terraces, and a guest house. 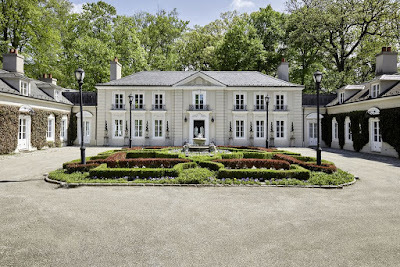 This brick and limestone French Provincial-inspired mansion in Winnetka, IL was built in 2001 and is situated among the bluffs of one of the five Great Lakes. The stately villa features approximately 15,000 square feet of living space with six bedrooms, six full and four half bathrooms, a two-story foyer with double floating staircase, elevator, formal living room with fireplace, gourmet kitchen with dining and breakfast areas, family room with fireplace and media center, library with fireplace, and three-car garage. The expansive lower level includes recreation room with wet bar, a kitchen, 12-seat home theater, exercise room, and an indoor pool. Outdoor features includes decks, terraces, and 150 feet of private beach. 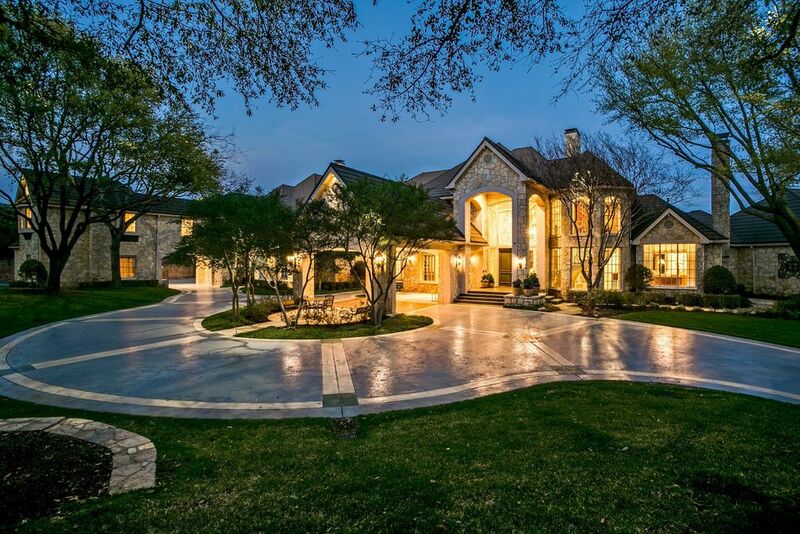 This stately stone mansion in a prestigious country club community in Plano, TX is situated on three acres of land and boasts views of the Gleneagles golf course and the White Rock creek. Though it was built in 1984, the home has a very modern feel to it. It features approximately 14,702 square feet of living space with seven bedrooms, nine full and five half bathrooms, two-story foyer with floating staircase to second floor study loft, formal living room with fireplace, dining room, two-story great room with fireplace, gourmet kitchen with breakfast bar, breakfast room, family room with fireplace and media center, an expansive recreation room with wet bar, a 12-seat home theater, a game room with pub-style wet bar, golf simulator room, a home office, craft room, garage parking for six cars, and much more. Outdoor features include two gated entrances, two porte-cocheres, motor court, covered front porch, terraces, patio, cabana with BBQ kitchen, swimming pool with spa, tennis court, and a putting green. 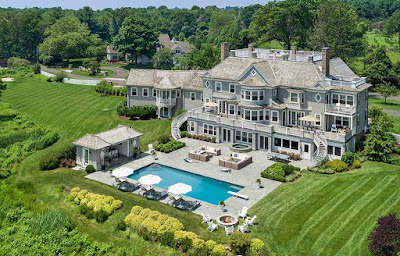 Built in 2014 and situated on just over seven acres of land, this waterfront shingle-style mansion in Westport, CT is architecturally dramatic and boasts unobstructed views of the Long Island Sound. It was designed by Franzen Associates and features approximately 13,397 square feet of living space with eight bedrooms, eight full and four half bathrooms, foyer with staircase, elevator, formal living room with fireplace, formal dining room, butler's pantry, gourmet kitchen with two refrigerators and breakfast bar, breakfast room, sitting room with fireplace, paneled home office, recreation room, eight-seat home theater, exercise room, screened porch, a detached four-car garage. Outdoor features include multiple decks (including a rooftop deck), balcony, breezeway, expansive bluestone patio, cabana, swimming pool, spa, putting green with sand trap, and a three-acre pond with cedar dock. The home also includes a private wing with two bedrooms, two bathrooms, kitchen, and living area. 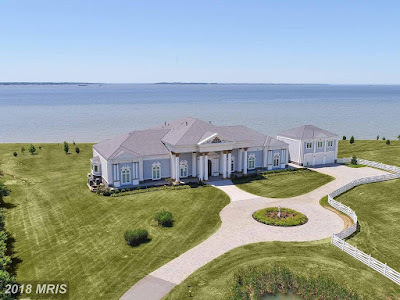 This one-level home in Stevensville, MD was built in 2014 and is situated on 7.7 acres of land with endless water views and a view of Maryland's popular Bay Bridge. It features approximately 9,474 square feet of living space with four bedrooms, five full and two half bathrooms, beautiful column-lined foyer, formal living room with two fireplaces, formal dining room, gourmet kitchen with breakfast bar, breakfast room, home office, two additional kitchens, and a detached three-car garage. Outdoor features include a gated entrance, a pond, covered front porch, and a rear terrace. Located in Arlington, TX and situated on 2.6 acres of land, this bold Mediterranean-inspired mega mansion was built in 2003 and boasts a bevy of interior living spaces that are fit for large scale entertaining. The home features approximately 22,093 square feet of living space with seven bedrooms, nine full and four half bathrooms, a grand foyer with double staircase, elevator, formal living/music room, formal dining room, two-story great room with fireplace, rear staircase, gourmet kitchen with butler's pantry, breakfast room, family room with fireplace, a paneled home office, a second level living room with fireplace and additional home office, a 10-seat home theater with stadium seating, exercise room, two massage rooms, an expansive lower level with two living areas and kitchen, an indoor pool with hot tub, a fourth floor ballroom with stage, and garage parking for four cars. Outdoor features include a covered front porch, balconies, covered and open terraces, and a fountain. This beautiful Mediterranean-inspired lakefront mansion in Atlanta, GA was built in 2009 and is situated on 2.9 acres of land. It features approximately 12,900 square feet of living space with six bedrooms, seven full and one half bathrooms, foyer with staircase, elevator, piano room, formal dining room, two-story great room with fireplace, gourmet kitchen/breakfast room with vaulted ceiling and fireplace, family room, wood paneled library/study, a loft overlooking the great room, a lower level wine cellar, recreation room, game room, home theater, and a three-car garage. Outdoor features include a gated entrance, motor court, covered front porch, rear loggia with fireplace, BBQ kitchen, patio, pavilion with fountain, infinity-edge swimming pool, and a sport court. This stately Colonial-inspired mansion in Bryn Mawr, PA is situated on 5.82 acres of secluded land offering complete privacy while still being in close proximity to nearby charming towns and international airport. The home was built in 1940 but meticulously renovated and expanded using only the finest in craftsmanship. It features approximately 14,753 square feet of living space with seven bedrooms, eight full and three half bathrooms, two-story foyer with L-shaped staircase, formal living and dining rooms with fireplaces, great room, gourmet kitchen with breakfast bar, a lounge with wet bar, a game room, garage parking for six cars, and so much more. Outdoor features include a gated entrance, motor court, court yard with fountain, formal gardens, pond, tennis court, and pavilion. 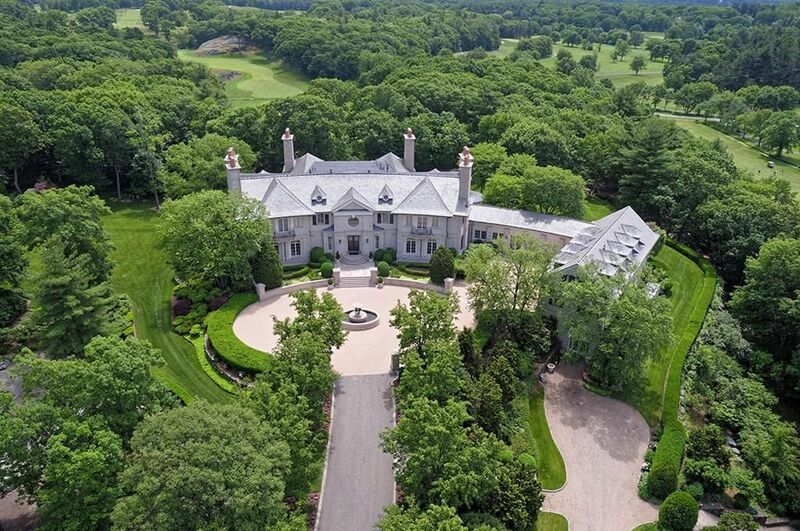 Known as "Woodland Manor", this limestone mega mansion in Chestnut Hill, MA was built in 1999 and situated on 14 acres of land with rolling lawns, ponds, and an array of specimen plants. 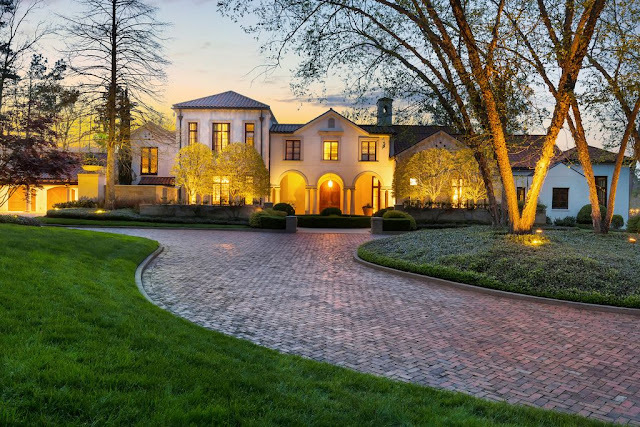 The Colonial-style home was designed by Shope Reno Wharton Architects and is owned by billionaire businessman and former Reebok CEO, Paul Fireman. It features 26,623 square feet of living space with eight bedrooms, seven full and five half bathrooms, two-story rotunda-style foyer with winding staircase, formal living and dining rooms with fireplaces, gourmet kitchen, breakfast room, family room with fireplace, paneled library, home office, four-car garage and much more. Outdoor features include a gated entrance, circular motor court with fountain, balconies, covered porch, and expansive terrace. 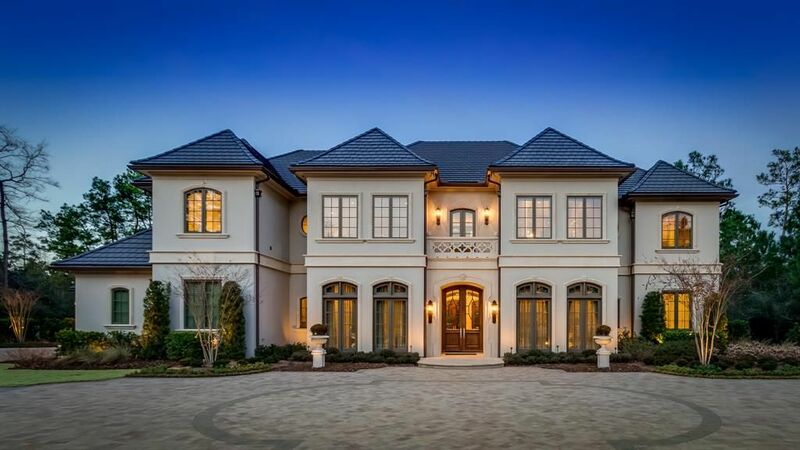 Located in Spring, TX (The Woodlands), this beautiful mansion was built in 2016 and is situated on 1.5 acres of land in the Carlton Woods golf club community. It features approximately 11,155 square feet of living space with five bedrooms (including first and second floor master suites), eight full and two half bathrooms, foyer with U-shaped staircase, elevator, formal living room, combination great room/dining room with fireplace, gourmet kitchen with stainless steel appliances and breakfast bar, breakfast room, family room, expansive game room with wet bar, media room, paneled library, second floor recreation room, exercise room, and two two-car garages. Outdoor features include two motor courts, terrace, loggia with BBQ kitchen, patio, swimming pool with spa, and a fire pit. When reality TV star Kim Zolciak-Biermann showcased impressive new digs on her show 'Don't Be Tardy', many probably wondered what happened to her previous digs. 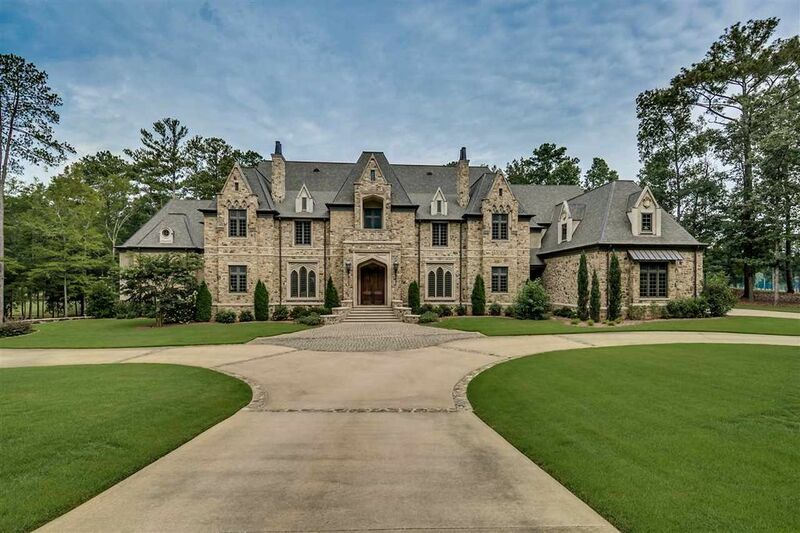 Well, the stately brick European-inspired home located in Roswell, GA on two acres of land, is on the market and has been for nearly half a year at this point. It was built in 2006 and features 17,000+ square feet of living space with six bedrooms, seven full and two half bathrooms, foyer with U-shaped staircase, elevator, formal dining room, great room with fireplace, rear staircase, gourmet kitchen with breakfast bar, breakfast room, two-story family room with fireplace, wood paneled library/home office with fireplace, and an Au pair or In-law suite above a four-car garage. The lower level features an expansive recreation room with fireplace, kitchen/wet bar, billiards room, a 12-seat home theater, home gym, and a golf simulator. Outdoor features include a front covered porch, rear covered porch with BBQ kitchen, patios, swimming pool with spa and water features, and a fire pit. Located on Palm Island in Miami Beach, FL, this freshly finished contemporary mansion by Aqueblue Group is situated on a small lot that boasts 110 feet of water frontage. Known as "Villa Lumina", the home features approximately 10,050 square feet of living space with seven bedrooms, eight full and one half bathrooms, two-story foyer with floating open tread staircase, elevator, expansive central open living plan with floor-to-ceiling sliding glass doors, wet bar, dining room, gourmet Italian kitchen with sliding glass walls, a state-of-the-art glass-enclosed wine cellar, home office, home theater, and a three-car garage. Outdoor features include a gated entrance, front water feature, balconies, terraces, rooftop terrace with bar, covered BBQ kitchen, and an infinity-edge swimming pool with spa. 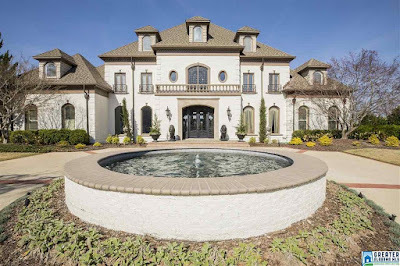 This stately brick and stone-accented mansion was built in 1996 and situated on 2.3 acres of land in an exclusive gated community in Fayetteville, AR. It features approximately 10,093 square feet of living space with six bedrooms, eight full and two half bathrooms, two-story foyer with floating double staircase, two-story great room with fireplace, chef-inspired gourmet kitchen with breakfast bar, breakfast area, family room with fireplace, two-story wood paneled library, a four-car garage, lower level recreation room with media center, kitchenette/wet bar, and an exercise room. Outdoor features include a motor court, front covered porch, and open and covered terraces. 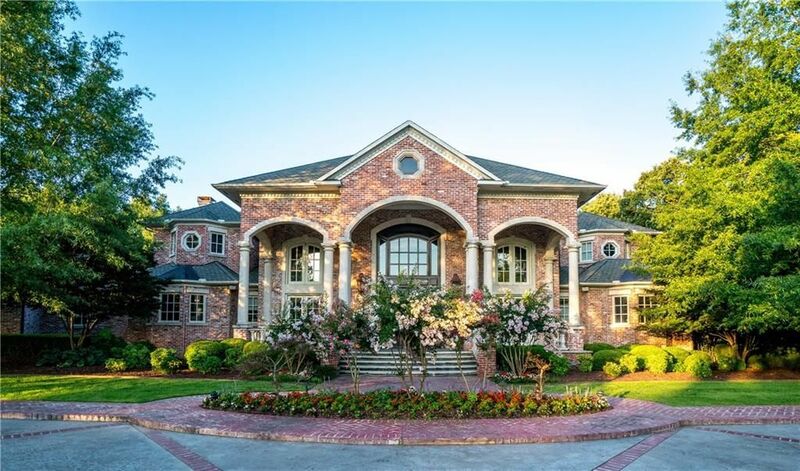 This stately brick mansion in Birmingham, AL was built in 1999 and is situated on just over three acres of land. It features approximately 12,267 square feet of living space with six bedrooms, six full and two half bathrooms, two-story foyer with floating double staircases, elevator, formal dining room, two-story great room with fireplace, a rear staircase, gourmet kitchen with stainless steel appliances, breakfast room with window seat, family room with fireplace, wood paneled home office/library with fireplace, lower level recreation room with wet bar, game room, expansive home gym, garage parking for six cars, and so much more. Outdoor features include a gated entrance, motor court, fountain, covered and open terraces, patio, and a swimming pool with waterfall. Recently completed and situated on a half-acre lot in McLean, VA, this striking contemporary mansion by AV Architects + Builders is a gem located less than 30 minutes outside of the District. It features approximately 8,275 square feet of living space with six bedrooms, seven full and two half bathrooms, foyer with floating U-shaped staircase, formal dining room, great room with two-sided fireplace and media wall, gourmet kitchen with double islands and stainless steel appliances, breakfast area, three-car garage, and an expansive lower level with build-out plan for a recreation room, home theater, exercise room, wine cellar, and wet bar. Outdoor features include a front covered porch and covered rear patio. 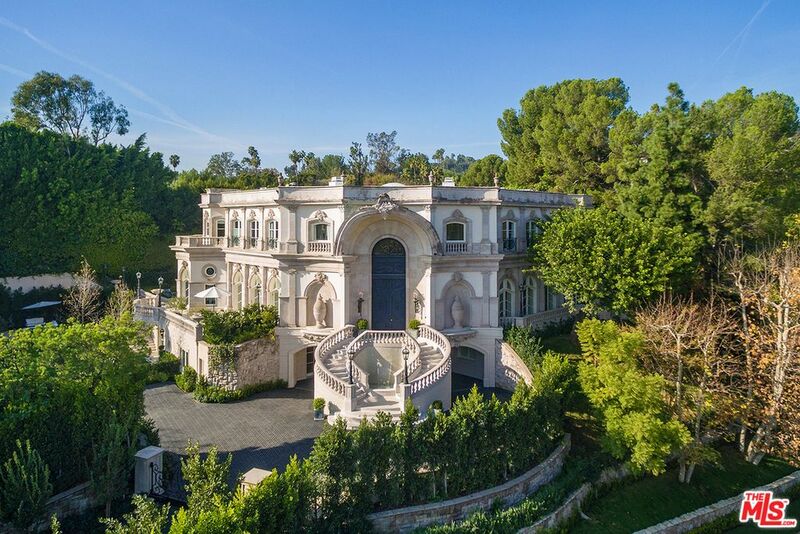 Situated on a 0.69 acre lot in Beverly Hills, CA, this Peninsula Paris-inspired mansion was built in 1991 boasts a blend of classical architecture with contemporary interior design. 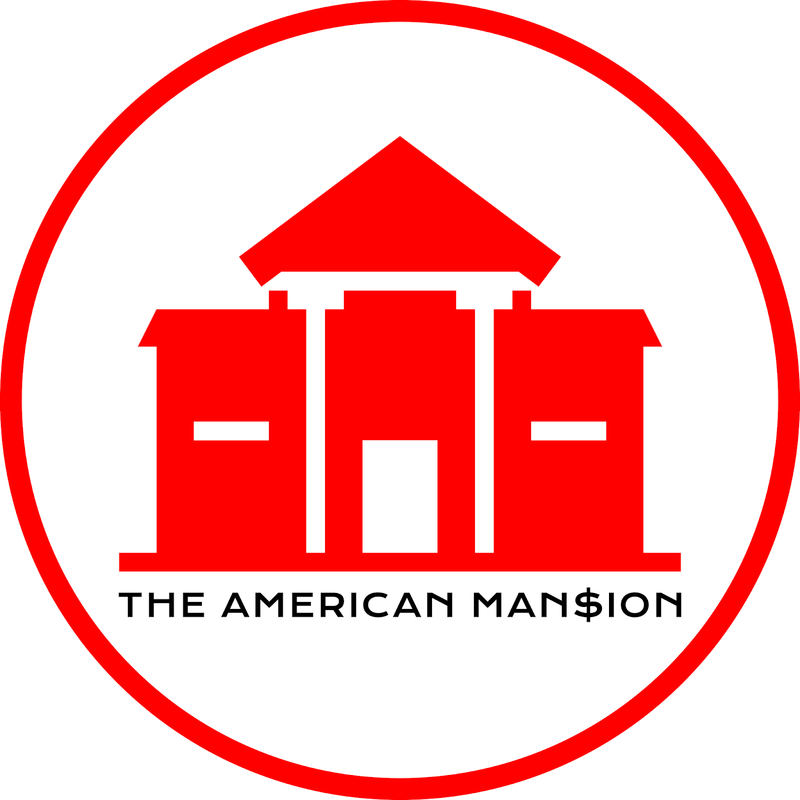 It features approximately 15,000 square feet of living space with 8 eight bedrooms, 12 bathrooms, grand foyer with 30-foot ceiling and floating double staircase, elevator, formal living and dining rooms, a Martin Pierce handcrafted gourmet kitchen, butler's pantry, breakfast room, family room, wet bar, library with fireplace, media room with fireplace, a six-car garage, and so much more. Outdoor features include a gated entrance, terraces, patios, front and rear water features, and a free form swimming pool with spa. 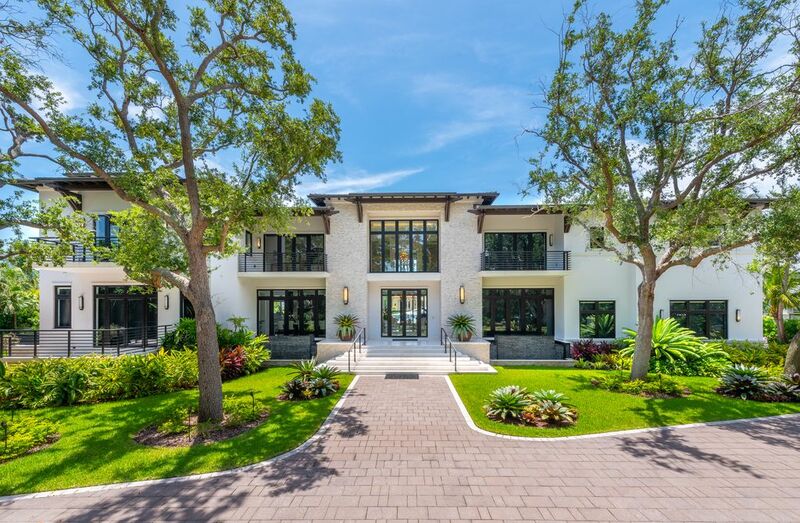 Located in a guard-gated community, this newly built mansion in Coral Gables, FL is situated on one acre of land with 255 feet of water frontage and incredible waterway views. It features approximately 11,609 square feet of living space with nine bedrooms, nine full and three half bathrooms, two-story foyer with staircase, elevator, formal living room that shares a two-sided fireplace with a billiards room, formal dining room, gourmet kitchen with double islands and breakfast bar, breakfast room, family room, wet bar with glass-enclosed wine storage, home office, 14-seat home theater, exercise room, and a three-car garage. 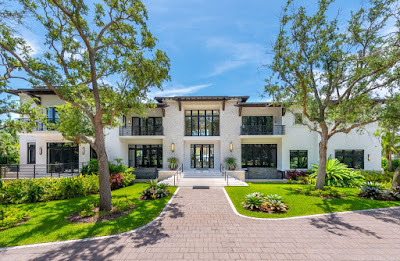 Outdoor features include balconies, terraces, patios, front water features, BBQ kitchen with Teppanaki table, enclosed spiral staircase, rooftop deck, heated infinity edge swimming pool with spa, two fountains, and fire bowls, and a 160-foot dock. This French-inspired stone and stucco mega mansion in Mahwah, NJ was built in 2006 and is situated on 1.85 of land. It features approximately 20,000 square feet of living space with seven bedrooms, seven full and four half bathrooms, two-story 28-foot high foyer with floating double staircase, formal living and dining rooms with fireplaces, two-story great room with fireplace and wet bar, gourmet kitchen with double islands (and two additional kitchens), breakfast room, home office/library, expansive recreation room with fireplace and wet bar, billiards room, 12-seat home theater, wine cellar, and a four-car garage. Outdoor features include a motor court, covered front porch, covered and open terraces, patio, pergola, BBQ kitchen, and a swimming pool with spa. 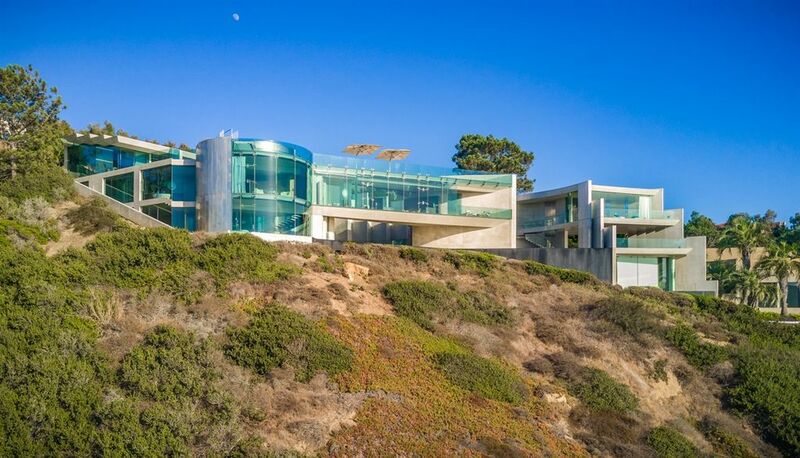 Known as the "Razor House" due to its Razor Point trail location, this ultra modern clifftop home in La Jolla, CA looks like it would be owned by Marvel Comics's billionaire inventor Tony Stark. Perched above the ocean and boasting striking edges and smooth curves, the mansion is clad in white concrete, stainless steel, and floor-to-ceiling glass walls. 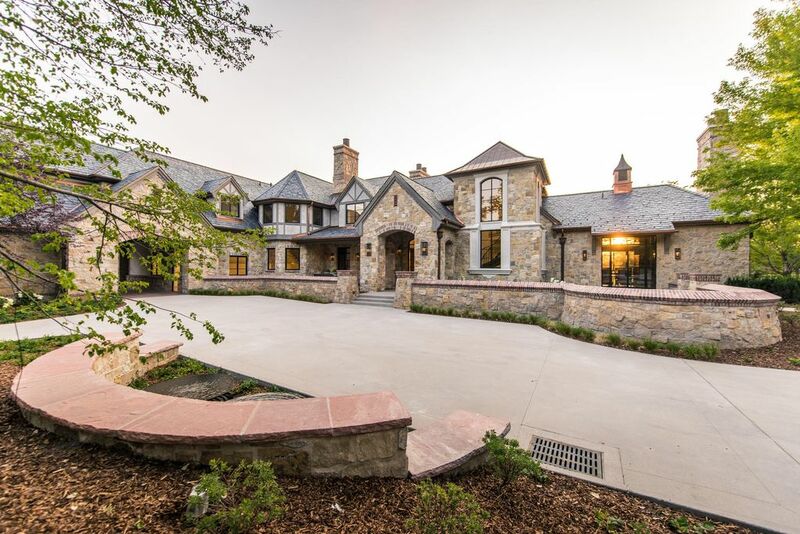 It features approximately 11,954 square feet of living space with six bedrooms, six full and two half bathrooms, foyer with floating staircase, elevator, open living and dining rooms, gourmet kitchen, library, media room, exercise room, and a seven-car subterranean garage. Outdoor features include ground level terraces, balcony, rooftop terrace with BBQ station, fire pit, and a moon-shaped infinity edge swimming pool. Built in 2011 and situated on two acres of land in the Shoal Creek Country Club in Birmingham, AL, this stately four-sided stone mansion overlooks the golf course's 9th and 18th greens and the nearby lake. It feature approximately 16,269 square feet of living space with six bedroom, six and two half bathrooms, two-story foyer with floating staircase, formal living and dining rooms with fireplaces, two-story wood paneled library with fireplace, gourmet kitchen with double islands, breakfast room, planning nook, family room with fireplace and vaulted ceiling, screened-in porch with fireplace, home office, expansive lower level recreation room, home theater, and garage parking for five cars. Outdoor features include a motor court, covered front porch, covered terrace with fireplace, open terraces, and a fire pit. Located in McLean, VA and situated on 3.2 acres of land overlooking the Great Falls Park and the Potomac River, this beautiful mega mansion is one of the finest ever offered in the Washington, DC region and currently holds the record for the most expensive home to ever hit the area's market! It was the home of Mr. James Kimsey, a co-founder of AOL ("You've Got Mail...") who passed away from cancer March 1, 2016. Boasting a blend of timeless and modern architecture, the main house features approximately 48,900 square feet of living space with nine bedrooms, 13 full and seven half bathrooms, rotunda-style foyer with staircase, elevator, multiple living rooms, two-story great room with fireplace, formal dining room, butler's pantry, gourmet kitchen with stainless steel appliances, separate catering kitchen, library with wet bar, an exercise room, wine cellar and tasting room, a 3-D media room, a 30-car subterranean garage, and so much more. Outdoor features include gated entrance with gate house, expansive motor court, balconies, terraces, infinity edge swimming pool with spa, formal gardens, and a tennis court. The property also include a staff quarters and a Frank Lloyd Wright-designed guest house with living and dining rooms, kitchen, and library. 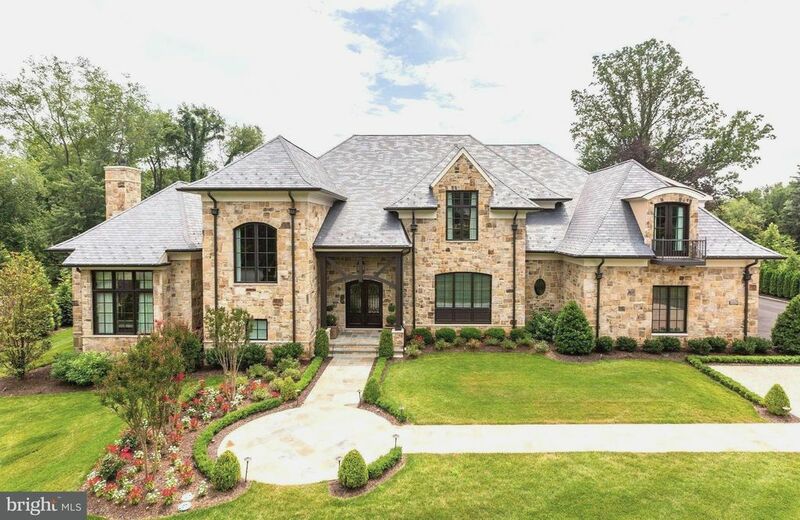 This rustic mansion in Lexington, KY was built in 2016 and situated on 1.8 acres of land. It features approximately 10,330 square feet of living space with five bedrooms, four and one half bathrooms, foyer with vaulted ceiling and winding stairs to lower level, two-story great room with fireplace, dining room, contemporary-style gourmet kitchen with top-of-the-line appliances, breakfast room, media nook, home office with vaulted ceiling and fireplace, lower level recreation room with music stage, family room with media center, kitchenette, billiards room, and garage parking for four cars. Outdoor features include a gated porte-cochere, motor court, covered front and side porches, loggia with fireplace, patio, and a deck. 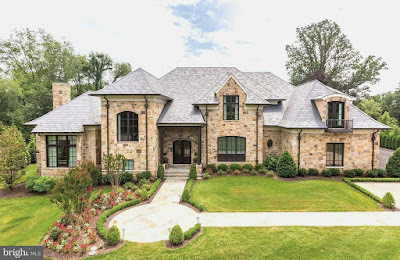 This French Provincial-style stone mansion in Mooresville, NC was built in 2007 and is situated on just under an acre of land on Lake Norman. It features approximately 9,887 square feet of living space with four bedrooms, five full and one half bathrooms, foyer with vaulted ceiling, U-shaped staircase, formal dining room with vaulted ceiling, chef-inspired gourmet kitchen with coffered ceiling, breakfast room, two-story family room with fireplace, screened-in porch with BBQ kitchen, library with fireplace, expansive recreation room with kitchen, home office, a three-car garage, and so much more. Outdoor features include a motor court, three fountains, covered and open terraces, grotto, patios, infinity-edge swimming pool with waterfall, gazebo with beach, and a dock.